Over a year ago I started this new series, and then I dropped off the face of the planet in terms of blogging. So here I am over a year later bringing it back. I couldn’t think of a better way of doing so than to recreate some celebrity best friend photos with one of my best friends! 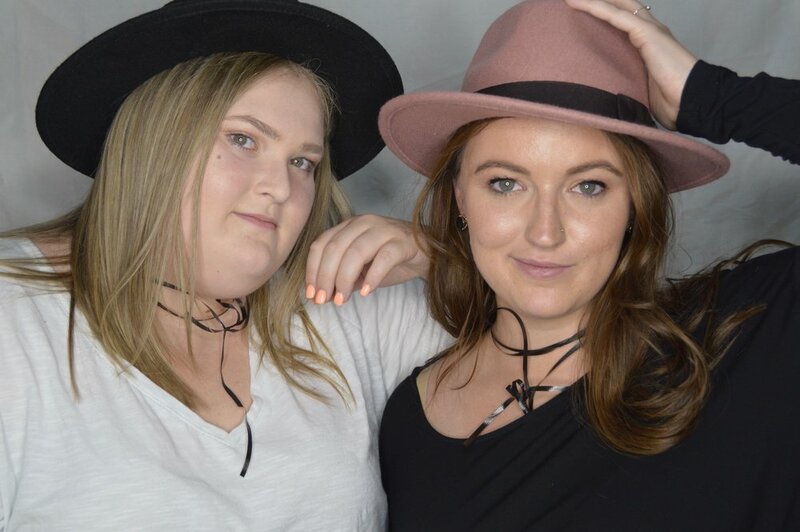 You’ve seen my best friend Mikaela in a couple of past posts, but you’ve never seen here in one of my fashion posts before… Without further ado, here she is pretending to be a celebrity with me! While I consider Becca to be one of my friends, I’m sure she sees me as an acquaintance. I knew that I had to highlight her friendship with Lea Michele in this post. To recreate both Becca and Lea’s looks all you need is a simple black tank top, while the look is simple and not “high fashion” it is accessible to all for a cute but casual outfit for a warm day. Julianne and Nina have been friends for what seems like forever and their friendship has been filled with so many fun photos, it was hard to pick just one. Mikaela and I both LOVE the TV show Riverdale, so who better than the real B and V to recreate. Lili and Cami are not only best friends on TV, they are best friends off screen. When it came down to selecting the picture we were going to recreate, their polaroid was the obvious choice, its so cute and sums up most best friendships, including mine with Mikaela. Linked below are options for tops like Camila’s and jackets like Lili’s. I hope everyone liked this post and leave me a comment down below telling me what celebrity or celebrities instagram posts I should recreate. A huge thank you to Mikaela for putting up with me and spending a full day shooting these looks!